Full Moon Gala Dinners, 2019. El Oceano Beachfront Restaurant, Spain. Tonight should also be unusually spectacular as this month’s Full Moon is what star-gazers call the “Pink Moon”!! Wow!! One things for sure… tonight is not to be missed at El Oceano!! Book your table below for this afternoon or tonight – or both!! The reflection on the Mediterranean Sea is one of the most beautiful sights you’ll see on the Costa del Sol. The shimmering reflections on the waves with a warm sea breeze make the perfect dining experience. Choose to eat inside or outside on the terrace, El Oceano will guarantee you one of the best ‘seats in the house’ for the stunning full moon evenings! 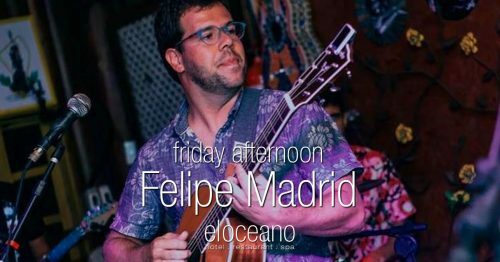 Friday 19th April – Featuring Eva Ruiz, Ruben Hernandez and Felipe Madrid in the afternoon, !! 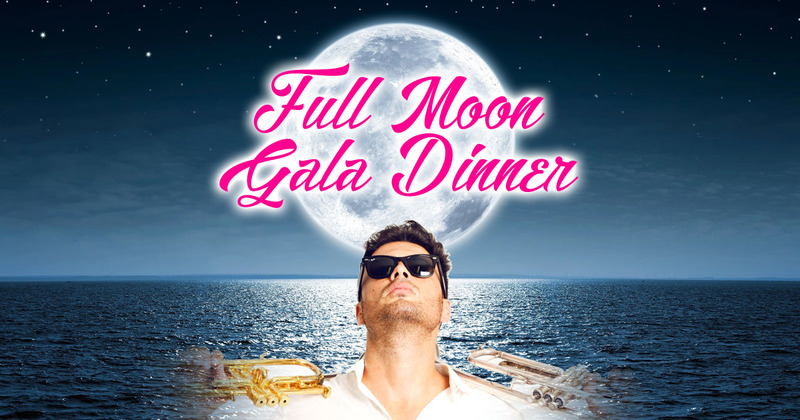 All Full Moon Gala Dinner events with LIVE ENTERTAINMENT from the likes of the fabulous Johnny Baker on Piano, Quike Navarro on Electric Violin or Ruben Hernandez on Trumpet (all to be confirmed)! Each full moon evening, enjoy a superb 3-course El Oceano menu under the moonlit skies of the Costa del Sol. 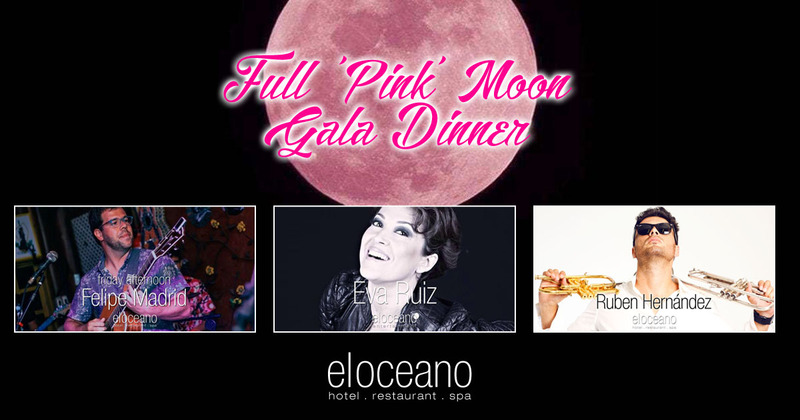 As of today, there are no confirmed future dates for 'Full “Pink” Moon Gala Dinner'. As soon as dates are confirmed, we'll let you know!